When I first saw the band We All Together in GEPR couldn't understand why was it mentioned and to be sincere, still can't get it because even though they are really good musicians, always standed very far from Progressive Rock and Psych. This Peruvian band from the early 70's was greatly influenced by the lighter side of the Beatles (Paul McCartney). In their first album (We All Together) they have four covers, Tomorrow, Some People Never Know and Bluebird from McCartney, as well as Carry on Till Tomorrow from Badfinger. The funny thing is that some of their original songs like Ozzy and Dear Sally sound very much like Harrison and Lennon tunes. 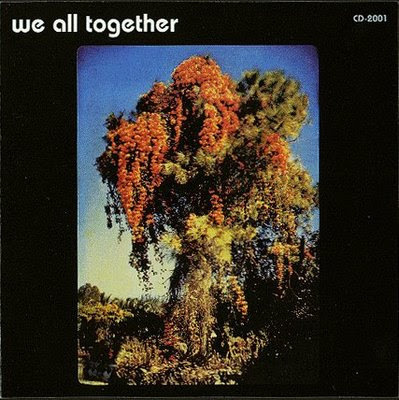 Their second album (We All Together 2) has also a cover of Band on the Run from McCartney and a strange song Follow Me If You Can which sounds very much like Roundabout from Yes, maybe their only aproach to progressive rock. The other original themes have much in common with Beatles. You'll find the songs list will be diferent sometimes, because the Cd's have been released years after the band broke and the original tracks are not always the same as in the old LP format. The Band members led by singer and (sometimes) composer Carlos Guerrero are competent musicians and must accept that the sound of the band is simple but effective. It's sad that a group of really good musicians didn't tried to develop their own sound. All songs by We All Together, except: tracks 3 (Badfinger), 5, 7, & 9 (The Beatles). Recorded & produced by Carlos Guerrero. String arrangements by Andres de Colbert & Alberto Villena. Wind instruments by Alberto Villena.